What is the Million Dollar Advocates Forum? What is it that sets your attorney apart? Have they won any special awards? Do they have more experience than others? How can you know if your attorney really is the best? There are certain awards and accreditations that attorneys receive that prove they go the extra mile, and that they’re truly as good at their job as they claim to be. We’ve talked in past blogs about Board Certified Attorneys. However, Board Certification is not the only award an attorney can receive. Have you ever heard of the Million Dollar Advocates Forum? You might not realize straight away that members of the Million Dollar Advocates Forum are lawyers. You might be imagining an exclusive club of rich and powerful celebrities—and you’d be partially right! The Million Dollar Advocates forum is a very exclusive group: fewer than 1% of attorneys in the U.S. are members. So what does it take to become a member of the Million Dollar Advocates forum? 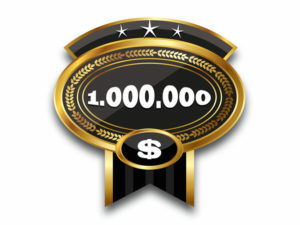 You have to have won a trial with a verdict or settlement of at least $1 million. If an attorney can achieve this, then they will have proven their ability to get superior results in complex court cases. Oxner + Permar has multiple attorneys on staff who are members of the Million Dollar Advocates Forum, which means that when you work with us, you’re working with attorneys who have the experience and capability to take on any case. They know how to navigate the intricacies of workers’ compensation law and obtain superior results. If you have any questions about your workers’ compensation claim, or would like to get in touch with a member of our outstanding team, don’t hesitate to give us a call.